Look, gay Republicans, I’m giving credit where it’s due. 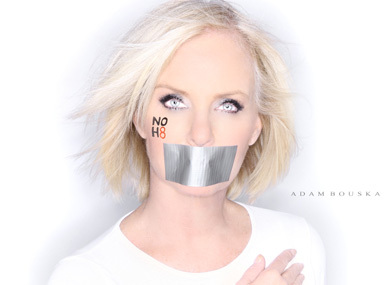 Cindy McCain has joined her daughter Meghan in posing for the NOH8 campaign in support of marriage equality. I’m thrilled to see this. Maybe the women in that family can bring Walnuts over to their side. And like I said, doesn’t she look amazing? If you want to see Meghan’s portrait click here.